Forrest Recruitment Bolton have recently visited 2 local charities to deliver generous donations as part of a company wide initiative. SAHA (Salvation Army Housing Association) is a leading provider of residential centres, foyers, and move-on housing for single & homeless people in the UK. 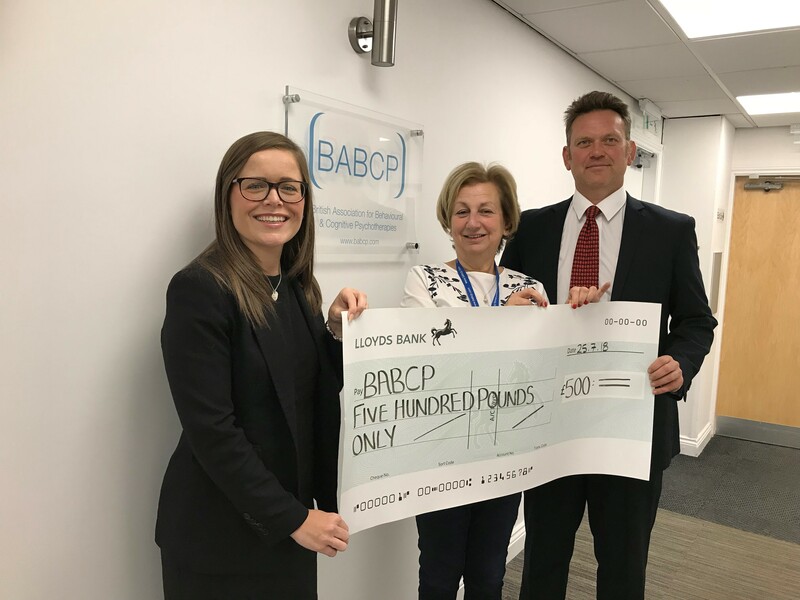 Our second nominated charity was BABCP – The British Association for Behavioural and Cognitive Psychotherapies is a multi-disciplinary interest group for people involved in the practice and theory of behavioural and cognitive psychotherapy, the association allows practitioners to maintain standards of Behavioural & Cognitive Psychotherapy by providing the opportunity for members who meet minimum criteria to become Accredited. We can’t wait to hear how our donation has helped these charities and wish them all the very best in the future with their fundraising.